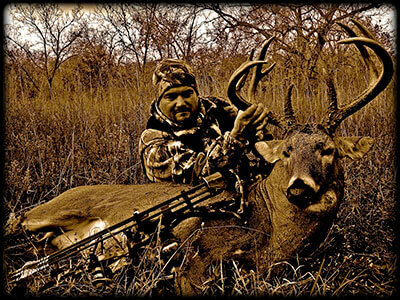 What can we do to increase our chances at harvesting a monster buck out of state this year? I hunt multiple states every season, and its the legwork you do in the off season that can greatly impact your success on out of state hunts! It’s really not much different than scouting for a big buck back home, but since most of us have limited time, we should have a game plan before hitting the woods to make the most of out scouting expeditions. I’m not going to go into detail about what state to hunt or finding a place once your there, that’s another subject, but I am going to concentrate on explaining what I look for once I have a specific out of state property in mind. 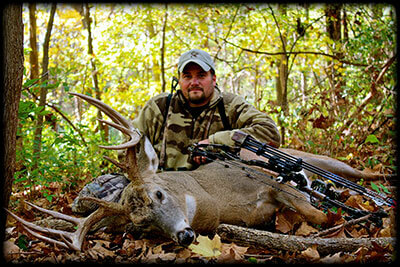 Harvesting big bucks in your home state consistently can be tough, but doing it out of state can be a real challenge! It’s next to impossible to scout anywhere like you can at home, but when you combine todays technology with a smart scouting plan, you can increase your chances drastically! Theres no doubt, I have always had my best success at home when it comes to getting a crack at a big dominant buck, but through trial and error I have managed to come up with a few tactics that can help you be more successful on your next out of state hunt. On any given year, I will normally hunt 5 or 6 states, this year a few more, and it takes detailed planning along with some strategic scouting trips to make the most of my season.